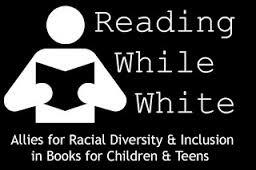 Reading While White Blog: A new blog, “Reading While White” debuted this week, co-created by Nina Lindsay of the Oakland Public Library, along with Sam Bloom, Allie Jane Bruce, K.T. Horning, Angie Manfredi, and Megan Schliesman. Check out the blog here: http://readingwhilewhite.blogspot.com. We are White librarians organizing to confront racism in the field of children’s and young adult literature. We are allies in the ongoing struggle for authenticity and visibility in books; for opportunities for people of color and First/Native Nations people in all aspects of the children’s and young adult book world; and for accountability among publishers, book creators, reviewers, librarians, teachers, and others. We are learning, and hold ourselves responsible for understanding how our whiteness impacts our perspectives and our behavior. We know that we lack the expertise that non-white have on marginalized racial experiences. We resolve to listen and learn from people of color and First/Native Nations people willing to speak about those experiences. We resolve to examine our own White racial experiences. Star Wars Reads Day: October 9 and 10, 2015 are Star Wars Reads Day in many libraries. Oct. 9th is a Friday, so many schools are holding their events on that day. On Sat. Oct. 10, many bookstores and public libraries will be hosting various Star Wars related programs. For promotional materials and programming ideas, check out: www.dk.com/us/explore/events/star-wars-reads-day/ . New ACL BayNews Posted: The September 2015 BayNews (the newsletter for the Association of Children’s Librarians of Northern California) is now available on our website: http://www.bayviews.org . 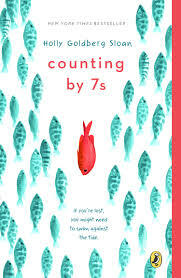 You will find Readalikes for Holly Goldberg Sloan’s Counting by 7s, new storytime themes on Ducks, and Frogs, and a review of Gail Carson Levine’s Writer to Writer: From Think to Ink.